Publication of the review comes in the wake of the UK’s latest national security crisis, in the form of the nerve agent attack on Sergei and Yulia Skripal in Salisbury on March 4. Debate about the review is consequently likely to be dominated by questions about whether the UK is doing enough to address the challenges posed by Putin’s Russia. This is a valid concern. Examples of the authoritarianism and brutality of the Russian government abound, combined with mounting concerns about its involvement in “hybrid warfare”. 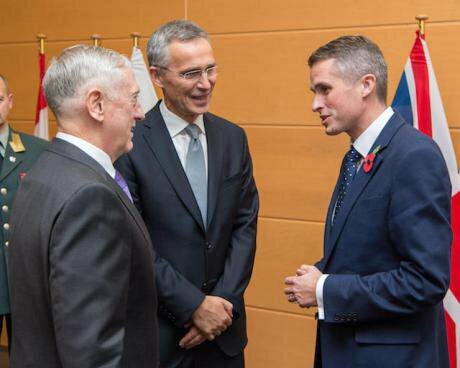 Even before the attack in Salisbury, a series of recent public interventions by military top brass, parliamentarians and the Secretary of State Gavin Williamson himself, have sought to reposition the security threat posed by Russia centre-stage, after years of according greater priority to “international terrorism”. However, the clamour for robust responses to the Salisbury attack risks skewing the focus of debate about this week’s Capabilities Review too heavily towards Russia, to the detriment of other important concerns. With the spotlight firmly on the latest crisis, there is potential to lose sight of the need for a more dispassionate analysis of the efficacy of the government’s overall approach to national security. In particular, there is a risk that several other problems with the current strategy will remain unaddressed. The first major strategic deficit of current government policy is its failure to define a vision of security or set out a ‘road map’ against which to measure progress. Yes, the strategy lists a set of objectives and actions, but it offers no explanation of its underlying assumptions, or the intended cumulative outcome of all this activity and expenditure. This lack of strategic clarity has been highlighted by the Joint Committee on the National Security Strategy (JCNSS), the main parliamentary body scrutinising its implementation. In its 2016 report, the JCNSS observed that “the primary goal of the NSS and SDSR process is to set out (a) what the UK wants to achieve; (b) how it intends to achieve it; and (c) what capabilities are required. The NSS and SDSR 2015 does not achieve that presentational goal”. It is hard to think of another area of public policy where this level of ambiguity would be tolerated: intended policy outcomes in education, public health, transport, migration, trade, and so on, are all quantified, measured, reported and debated on a frequent basis – sometimes in minute detail. And while the dynamics of global insecurity certainly increase the complexity of this task, there is plenty of evidence that it is possible for security. A new study of 20 European and North American national security strategies, published this week by the independent Rethinking Security network, finds that many other states’ security strategies do just this, offering a clear, single definition of national security, a lengthier elaboration of the concept, and often an explanation of the assumptions underpinning strategy. This clarity matters. Politicians frequently repeat the mantra that “national security is the first duty of government”. But without a proper explanation of how the concept is understood, this statement becomes another piece of empty rhetoric. It would not be difficult for the government to articulate how it chooses to interpret the term ‘security’ for the purpose of policy. Does it, for example, understand security primarily in the traditional sense, as protection from external violence? Or does it accept the growing international understanding – as expressed by numerous other states – that security is not only a question of ‘Defence’, military capability, or international influence, but requires the fulfilment of people’s basic human needs and rights, both domestically and globally? A second deficiency in the strategy is its preoccupation with short-term security challenges, at the expense of the long-term, systemic drivers of insecurity, such as economic inequality, climate change and marginalisation. Although these systemic drivers of insecurity may not present the UK with an immediate risk of external violence or provide a convenient “public enemy” to be defeated, there is substantial evidence that they aggravate or perpetuate many short-term risk factors. As the Rethinking Security study shows, several other states’ national security strategies pay greater attention to these underlying causes of insecurity. Yet it is unlikely that this week’s Capabilities Review will properly acknowledge – still less, act on – their importance. A third deficiency of the current strategy is its disproportionate emphasis on the role of aggressive, expeditionary military capabilities. This is partly a result of the decision in 2015 to combine the security strategy with a “defence review” and thus significantly increase the focus on this aspect of policy. The government continues to prioritise massive investment in new aircraft carriers, and the upgrading of nuclear weapons capabilities, regardless of their declining relevance to contemporary security challenges, the huge cost overruns and associated “black hole” in the MOD budget. And despite the catastrophic failures of the wars in Afghanistan, Iraq and Libya, it has limited lesson-learning to tactics rather than strategy, moving away from “boots on the ground” towards remote warfare methods such as drone strikes, special forces and private contractors. Big ticket expenditure may boost the UK’s sense of its own importance, and remote warfare may reduce the casualties suffered by the Armed Forces, but they both fail to engage with a hard reality: the task of building security is never achieved without a coordinated, long-term effort to create the political, social and economic conditions that underpin it. This is the crux of the matter. The longstanding assumption that power projection is the most effective method of delivering security, either for the UK or the wider world, is increasingly shaky. Instead, as experience in Northern Ireland clearly demonstrates, security is a condition that arises primarily from systems, policies and relationships that facilitate equitable and accountable governance, consistent application of the rule of law, the protection of rights, and long-term socio-economic development. These are not optional extras, and there are no quick fixes. Furthermore, given the complexity and interdependent nature of today’s world, they cannot be achieved without extensive cooperation among many different actors. The Rethinking Security study shows that many other states’ national security strategies already understand and acknowledge this reality. Yet while the UK’s current strategy pays some attention to the roles of diplomacy, conflict prevention and peacebuilding, the fact remains that these essential capabilities are frequently downplayed, overlooked or deprioritised in favour of traditional “hard security” measures, both in the government’s public communications and in its actual practice. And even with the “Defence” elements of security now removed from the Capabilities Review for consideration under a separate “Defence Modernisation Programme”, there is a high probability that the large and powerful military tail will continue to wag the security dog. Some will doubtless argue that the Russian regime only understands and respects the use of hard power. But they must also acknowledge that the UK is not facing Russia alone, but as part of a NATO alliance which already outspends Russia on the military by a factor of 12:1. The UK’s greatest leverage in responding to this crisis is unlikely to lie in unilateral moves to increase its hard security capabilities, but in its ability to use existing multilateral mechanisms effectively to address violations of international law. Such capabilities may not grab as many headlines, but they should certainly be strengthened as part of any serious strategic review. Will next week’s publication grasp any of these nettles? Regrettably, the signs are not good. The more likely scenario is that the Capabilities Review will turn out to be another missed opportunity to look through a wider lens, rectify current deficiencies, and develop a more comprehensive strategy for building security in the modern world.